A few weeks ago, I shared my recipe for pimento cheese with you. I thought it was going to be one of those recipes I was mostly posting for myself and you guys wouldn’t get too into it. Well, what do I know? ‘Cause it turns out you were super into it! It’s already been pinned 7,000 times! 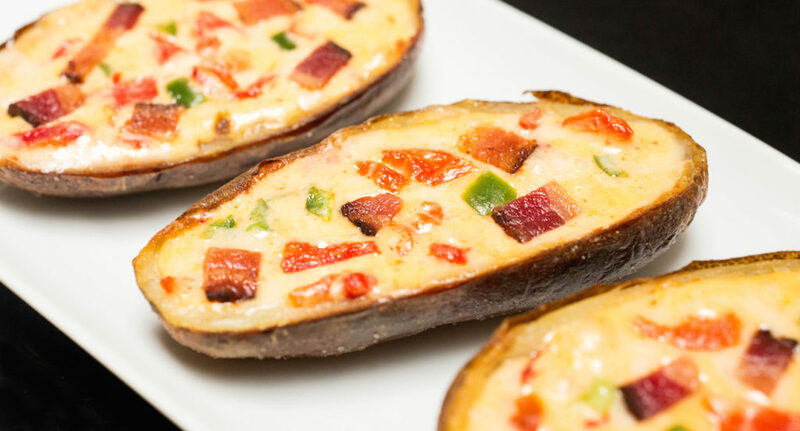 Since it was so popular, I’m going to show you one of my favorite recipes to use the pimento cheese with – potato skins! I’ve loved potato skins since forever. If you ask me, one of the most perfect dinners on the planet is an appetizer sampler platter with some bomb potato skins. 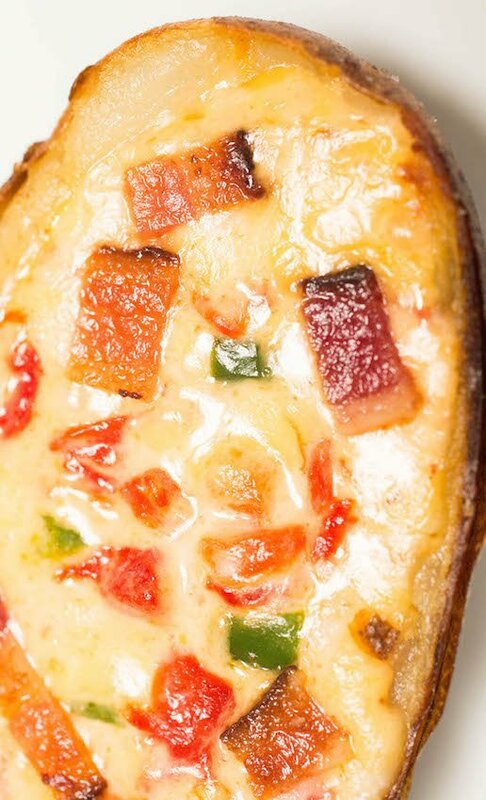 I like potato skins topped all kinds of ways, but this is probably my all-time favorite. 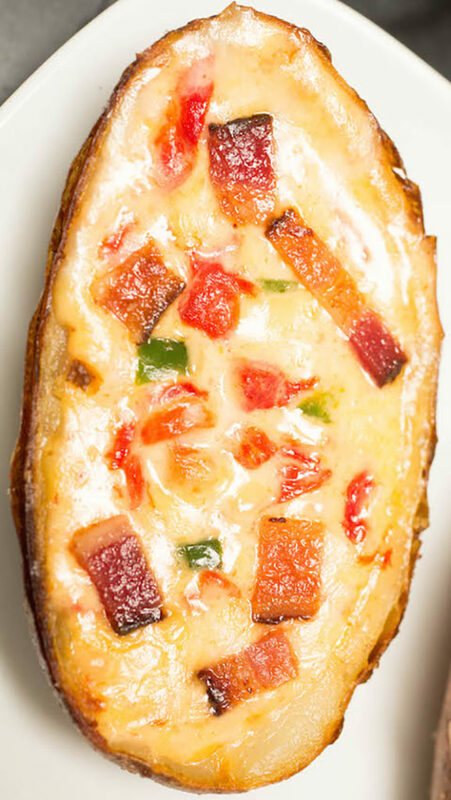 That’s when I knew these pimento cheese potato skins were blog worthy! If you don’t have the time or energy to make my pimento cheese recipe, you can just use store-bought. I garnished mine with bacon and also dipped them in sour cream when serving. Yum! These would make my fella so happy! Potatoes + pimento cheese for the win!